His Holiness said that following the attack on Charlie Hebdo the publication had been given a new lease of life. During his sermon, His Holiness praised recent comments made by Pope Francis in which he said that there ought to be limits to freedom of expression – that no faith or religion should be mocked or insulted and that the dignity of each religion should be respected at all times. His Holiness said that the views expressed by the Pope on this matter were “completely correct”. 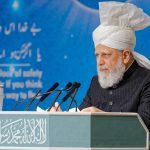 The Head of the Ahmadiyya Muslim Community said that the world’s media wielded great power and influence and so he called on all media organisations to exercise such influence with due responsibility. 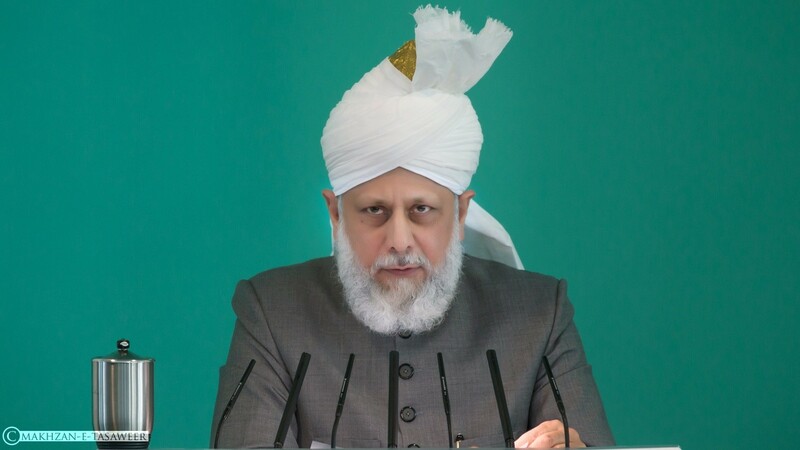 Hazrat Mirza Masroor Ahmad concluded his sermon by praying for peace in the world and reiterating the need for Muslims to respond to any attempts to ridicule the Holy Prophet (peace be upon him) through sincere prayer.